BlogHome » Blog » Help! My Flow is Broken! Help! My Flow is Broken! Most blogs are written about something that the writer knows, or has experienced, that he/she attempts to explain or advise upon. In most blogs, the writer is super knowledgeable about the topic and the reader comes out feeling informed. This isn’t like most blogs. 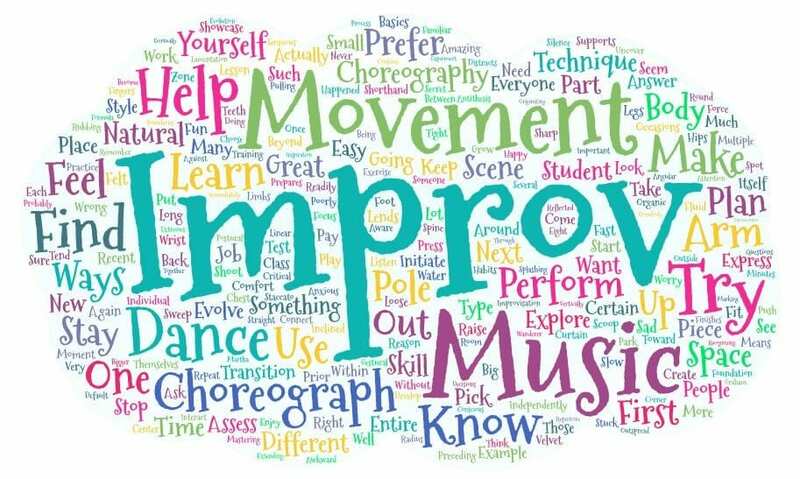 In fact, I, the writer, am requesting the expertise and guidance of my readers for a collaborative “how-to” on moving confidently and overcoming awkwardness or tension in a performance. All of my memories of dance, from slowly swaying at school functions to being flung around a crowded, circular dance floor in a cantina to my first pole class, leading all the way to today, I have felt supremely awkward. Stumbling, unbalanced, and a little lost, no matter how much I have practiced and grown, the feeling persists. This has had me thinking a lot about what makes us “awkward”, or at least feel as though we are, and how we can overcome these feelings to move freely and with confidence in all of our Pole performances. 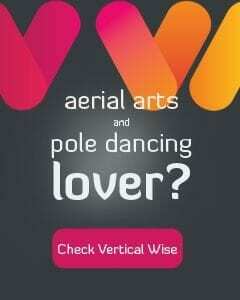 What makes a Pole performance awkward or uncomfortable? Not following through with a movement, cutting your flow short, stopping when a mistake is made as opposed to continuing on in a free-style recovery; these all make for incomplete or unsure movements and a disjointed piece. Pausing before a daring move, stumbling when you end up in an unexpected location, and odd, marionette-type movements of the extremities are also on the list. Let’s talk about the good, bad, and ugly; stories of recovery and stories of “never do that again!” These are the things we learn and grow from and I believe we can help one another! Now let’s talk about some of things that keep us from completing these graceful movements and recoveries. Are they all really just based on physical training? Or can we assume that a good portion of our inability is psychological and our bodies are able, but our minds are too self-critical? Yes, only training can perfect your pointe or change the flexibility of your back, but I’m a firm believer that if you tell yourself you can’t do something enough, you will make it true. Now, what about problems outside of our body, like a disconnect between hearing a feeling rhythm in music? Or maybe it is combination of these things that requires time and patience to conquer. What are some things you, personally, have struggled with? Finally, I would like to discuss the ways to rise above! How do we put our insecurities, physical inabilities, and musical challenges to the side to perform at our highest level? My good friend, the Hypnotic Booty, once told me “Ashley, just fake it ‘til you make it!” This advice will stick with me forever! Typically, no one around will know you are uncomfortable or inexperienced but you. Walk in like you own the place, command respect, and, if you keep doing this, the faking part will become less necessary and you will be the new, confident you! Keep moving, find your own flow and the natural movement of your body. Some people are more sensual and seductive, some are more expressive and graceful. Trying to fit into an inappropriate mold can be detrimental to an individual’s creative process. Practice is key! Self-confidence and personal movement are backed up by the physical and mental training you receive from classes, workshops, and even PoleCon. These experiences are invaluable and by repeating the movements that feel most awkward, they will eventually feel awkward no longer! Let’s open up a dialogue about our fears and discomforts; let’s support each other when we feel our confidence falter. How did you get out of your awkward stage? How did you find your own, individual movement? Open discussions are encouraged year-round for all things Aerial at my personal blog, Suspended in Motion. I’ll see you there! Ashley is a very hopeful pole beginner that fell in love with all things aerial at the amazing Twisted Bodies studio in Denton, TX. 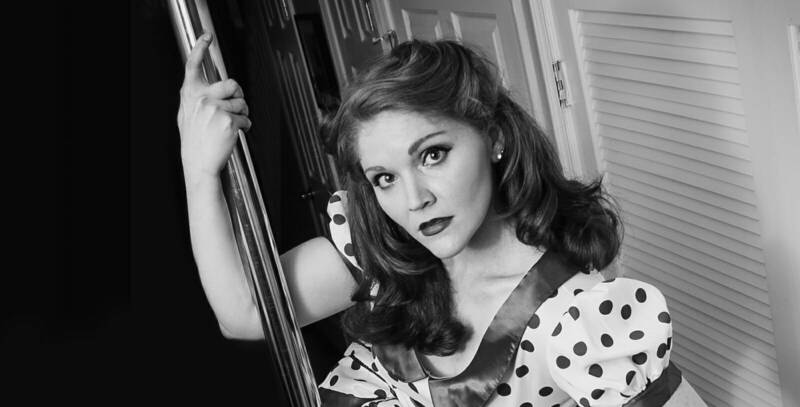 While she doesn’t have any previous dance experience, she makes up for it with genuine passion and a drive to one day be a fantastic pole dancer. You can read in on her journey as she attempts to go from awkward to graceful aerialist in her personal blog and open forum, Suspended in Motion.